I joined the Insecure Writers Support Group last month. I’m not too sure where to start lol, so I’m sorry if this becomes a ramble. Yes, I’m insecure, in many areas of my life, not just my writing…. I’m quite shy, lack confidence and have self esteem issues, but i try not to wallow (don’t get me wrong, I do sometimes). I’ve spent the last 12 years of my life searching. For what? I’m not exactly sure lol. But, i realised a few days ago (as I sat, reading the winning entries in a competition I had entered, and feeling totally out of my depth) that my constant searching has been more from the point of view of wanting to find something I’m good at, than just finding something. Does that make sense? It does in my head lol. I left school with no ambition, no dream, all I wanted was to get married, have kids, a nice home (nothing extravagant) and look after my family as best I could. As the kids started getting older I started to realise that I’d lost myself. I didn’t exist outside of being a mother & wife and it hit me hard. That was in about 2000. I suddenly wasn’t content anymore to just cook, clean, and be a taxi service lol. I was 32 and wanted to achieve something. So here I was in 2010…..still feeling I hadn’t achieved (various courses, ideas, jobs and voluntary work, all of which seemed to crumble round my ears when I really started to enjoy them, or feel that I was getting somewhere) and then I discovered writing. Like any other interest I pursue, I’ve thrown myself into it 110% but……I don’t feel I’m good at it. I think ive improved, but thats about it lol. I constantly compare my writing to that of others, and think, well, you might as well give up now Vik lol. I’ve recently had a couple of lovely comments about my work. One of the ladies at my writing group read one of my short stories and said “…my over-riding impression was that you may not realise just what a talented writer you are…..” WOW that blew me away….because I can’t see it. Sooooo, why do I still find it hard to believe this stuff? Why do I still think I’m not good at anything….will I ever feel that I am? 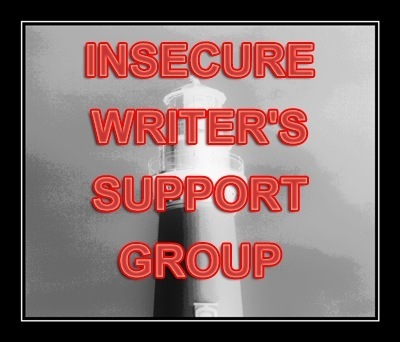 This entry was tagged Insecure Writers Support Group, Online Writing, Writer, Writer Resources, Writers Resources, Writing. Bookmark the permalink. Have you seen the notice about the gap? That basically if you write and feel your writing isn’t good enough, it’s a sign that you recognise good writing when you see it, and that ability will gradually lead to the improvement of your writing. That’s the gap, between what you write and what you feel is good. You’ve not been writing for long yet already people are enjoying a work and you can see an improvement yourself – that’s excellent going! There may well always be some writers who’re better than you in some respects – Shakespeare was a better playright than the Bronte sisters, JK Rowling isn’t as good at murder mysteries as Agatha Christie was, John Grisham’s novels aren’t as scary as Stephen King’s etc etc. Just because you can think of someone who is better than you in some way doesn’t mean you’re no good. Yeah, that’s definitely something I should keep in mind! I think you’ve joined the rest of us. Aren’t many writers, learner writers etc, a bit insecure? That’s part of how you keep a critical eye on what you are doing. Plus from what I’ve read in this blog community, many others are also searching. Personally I used to write a lot when I was younger, then stopped. I’ve had a lot of wasted years in that sense. I only started the blog as part of an exercise to see if I was ready to get going again, or any good at it. Thankfully it seems to have given me the kickstart I needed. I wonder myself about the quality of it, but then that is all part of the process. You have to get it down to evaluate it. For example two thirds of a piece being good is better than 100% of nothing. Since doing this I’ve been writing poetry (and I didn’t even like poetry! ), have a whole bunch of other story ideas and have gained things I never expected I would. It is interesting to me how other people are dealing with it, and what they are going through. You are one of those people. You do various writing things, like the group you mentioned, or monthly blog challenges so it is something I can read your feedback on. I’m rambling on a bit myself here, but really Vikki, the fact that you are doing these things and getting some good feedback is something to be proud of, and you should take it as something that says you are on the right path. If you want to be brave, ask for some positive feedback on the parts that are not good and why. That way you can work to improve those areas. But remember, a bit of fear about your work is a good thing, it means that you care. Not that I would know, but I’ve been led to believe that writers will never be completely satisfied, there is nearly always something that could be or could have been done differently, so better get used to it! For me the worst bit is actually starting a story, the moment where I begin to see if my ideas work. Once I get going I don’t mind. I cannot believe that the process is totally natural, there will always be parts to change, small problems to solve, but that in itself is kind of interesting and part of the fun. I think you are incredibly brave to have started searching. So many people don’t, instead choosing to simply survive instead of live. I’m so happy you found your passion and you are pursuing it. That’s what life is all about! Insecurities haunt us at every turn (I am full of them), but it takes an incredibly bold person to own up to them and confront them. Bravo! Insecurities can be our best friends because they stop us becoming complacent. If we are insecure we seek to better ourselves by learning, practicing, trying harder. So see your insecurities as the gift they are. So glad you started writing. The world has plenty of space and need for stories well-told. Thats a very good point, thank you! 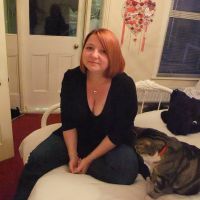 Hi Vikki – as you know I also look forward to reading your posts every day. Yours is usually the first one I open when I’m waiting for my train in the morning and it always makes me smile. Non fiction? Wow, I’d never considered it, I dont feel that I know enough about anything really lol….but, when I do enjoy something I am generally enthusiastic and passionate about it (hubby might say I become quite obsessive lol). Thanks hon, good luck on your journey! You are so not alone in feeling the way you do about your writing. I just finished reading your posts for ‘E’ and ‘F’ and found them captivating! Sometimes it is good to get a bit of distance from one’s own words, and put the story away for a short while. Coming back to it with fresh eyes can reveal aspects to the writing that you didn’t see before, and you might even find yourself surprised that the piece was actually written by you! I have found that critiquing other writers’ work has helped me tremendously in approaching my own. I take great care when assessing another writer to find what works, as well as what I feel might be weak–and try to be both honest and helpful. Thinking critically about another’s work has helped me to analyze my own without becoming negative or frustrated about it. Don’t you just love the Insecure Writer’s Group? So much positive energy! That’s a very good point. I’m a member of a writing group and critiquing the other members work has been very useful, you do learn a lot!